We want nothing more than for you to be absolutely delighted with your new instrumental tutor. 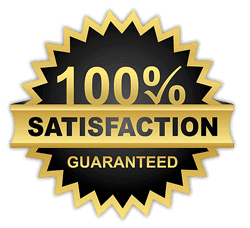 If you aren't completely happy with your choice of tutor after your first lesson with him/her, and would like to change your mind, then our guarantee will enable you to do so at no additional cost to you. Your first lesson with your new preferred tutor will be on us. Simply contact us, let us know which tutor you would prefer to be taught by and we'll do the rest! Your new tutor will be in touch with you shortly thereafter.